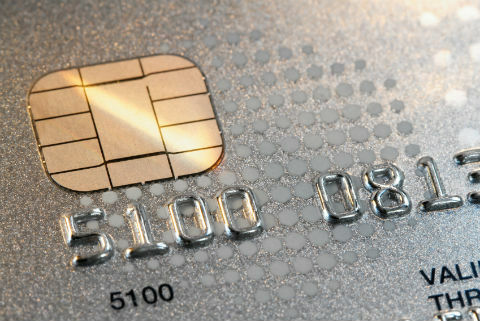 Chip card encryption technology is standardly referred to as EMV (Euorpay, MasterCard and Visa). This technology began in Europe and is currently being used by most of the world. Implementation of chip card encryption technology has decreased counterfeit fraud by 60-80%**. are prompted to do so. If your card has contactless capabilities (look for the on the front or back of your card), simply tap your card on the terminal instead of inserting the card. EMV cards can still be processed in terminals without chip-reading capabilities. Simply swipe your magnetic stripe and proceed with your transaction as normal.